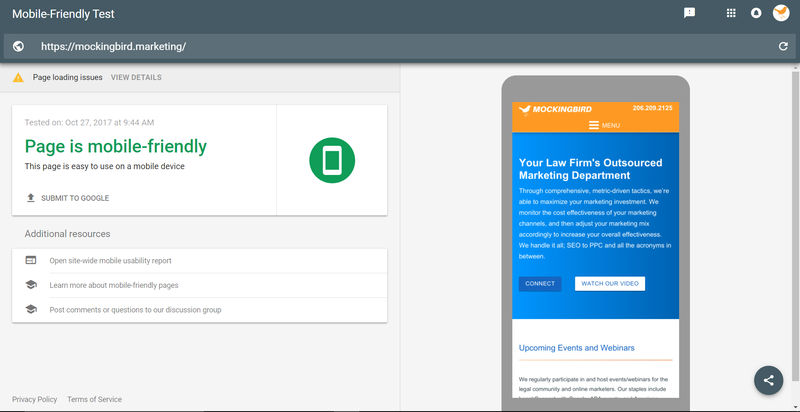 Is Your Law Firm’s Website Mobile Friendly? The trend towards mobility does not exclude the legal industry. According to The National Law Review, approximately 31% of law firm related website traffic comes through a mobile search. Mobile traffic rates may vary from 21-57% depending upon practice area, but regardless of practice area it is likely that a significant portion of your potential clientele are entering your site from a mobile device. It is therefore extremely important to assure that your website is mobile friendly. 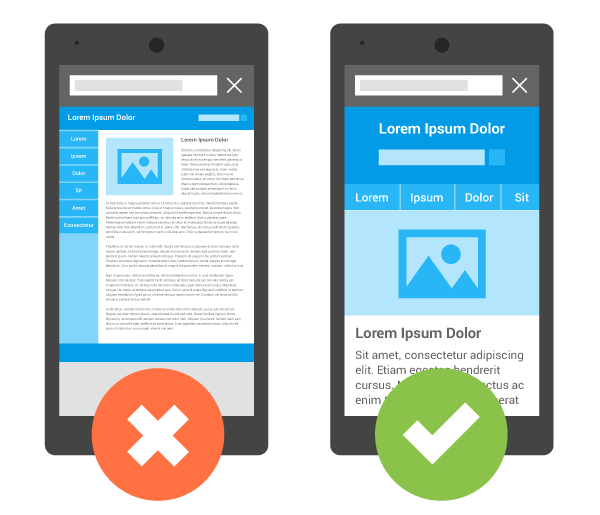 What does it mean to be mobile friendly? Technically, for a website to considered mobile friendly, it must simply be responsive on mobile devices, but there are a few more requirements for a website to be considered mobile friendly by Google’s standards. If you’re wondering whether your site meets Google’s mobile friendliness standards, using Google’s Mobile-Friendly Test is a quick and easy way to find out. Simply paste the URL of your site into the text bar and click “Run test”. Let’s see what happens when we test the mobile friendliness of the Mockingbird Marketing website. It looks like our site is mobile friendly – awesome! A few pages aren’t loading properly, but in our case (and in most cases), the loading issues for these pages aren’t affecting our mobile-friendliness, so we can ignore that warning for now. Being mobile friendly not only improves a user’s experience with your website; it may help your law firm to be found. With 60% of searches now coming from mobile devices, it’s only natural that Google would take steps to assure that the results they are providing will be helpful for those on mobile devices. Google is currently implementing a “mobile-first” version of its index. This means that Google will be treating the mobile version of each page of your website as the primary page to index, with desktop versions being indexed secondarily. This update is currently in effect for some users, but will take time to be implemented to all pages on the internet. The mobility of your webpage is not to be taken for granted. As mobile devices begin to dominate the world of search, it is important that we keep up, and adapt our websites to meet Google’s standards, and more importantly, the standards of potential clients.